Tattoos are permanent marks that we choose to put on our body as a form of self expression, art, belief, or other personal reasons. As we get older however, our views change sometimes and what we once see as a masterpiece becomes a regrettable remnant of the past so we decide to have them removed. For the less fortunate, the reason they want to have their tattoo removed is just because it didn’t look the way they want it too, or it’s so embarrassingly wrong. Up to now, the only proven way to remove tattoo is through laser as it is the only method that can break the ink that was used, however, multiple sessions may be necessary. WHAT DO YOU NEED TO KNOW ABOUT LASER TATTOO REMOVAL? Laser Tattoo removal is a safe procedure that usually doesn’t leave any mark on the skin, however, scars and burns may be possible though statistics is quite negligible. Since tattoos vary greatly from colors to sizes, to the ink that was used and the depth of the injection, the treatment and its duration is not standard, other patients may require at least 5 sessions, others will respond well in 3, yet still, others may require more. Multi color tattoo always require several types of laser at the same treatment. 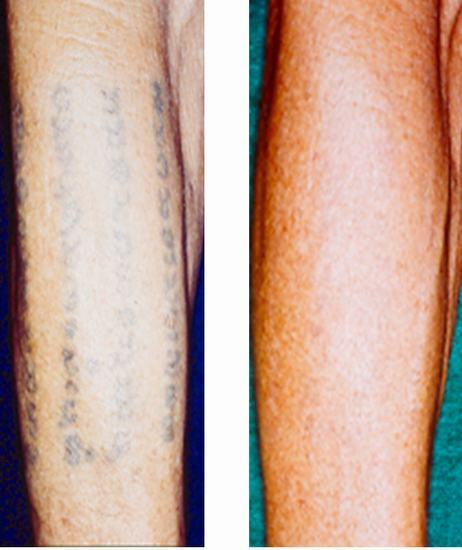 Not just one type of laser can remove every color of a multi-colored tattoo. Some colors (darker colors) usually respond with laser treatments better, especially black color but again, there is no guarantee about how many treatment sessions it would take before the tattoo can be completely removed or it can be completely removed. Other laser devices may be used for other colors depending on the main color of the tattoo. Laser also works for all skin colors so there is no problem with regards to safety in relation to skin tone. The laser treatment may be painful but it can usually be managed by topical or local anesthesia or in cases where a really big tattoo is involved, patient may opt for general anesthesia, but this is solely depend on the patient. Minimals scabs may form on the treated area which usually resolves in a week. The treatment can only be done once a month so the whole tattoo removal process may span for months of multiple sessions. 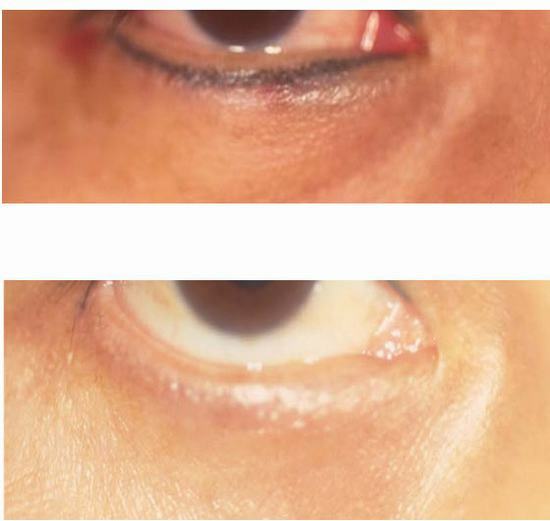 Pigmentation may appear as a result of the treatment but it usually resolves in 6-12 months. 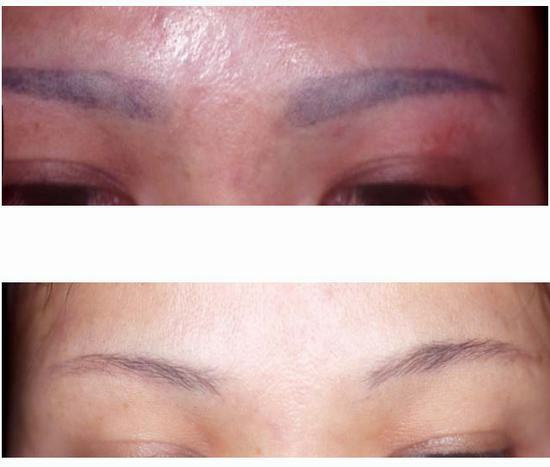 Laser can also be used for cosmetic tattoos such as permanent lip liner and permanent eye liner. WHAT CAN YOU DO AFTER THE TREATMENT? You are allowed to take a shower the following day after your tattoo removal treatment but scrubbing the area is highly prohibited. Should you want to use sop to clean the area, make sure to use just mild soap to avoid irritation. Sun exposure for the area that was treated is also highly discouraged to avoid further burning of the area. Tattoos are permanent marks that we choose to put on our body as a form of self expression, art, belief, or other personal reasons.